Keep Your Family Warm All Year Round! 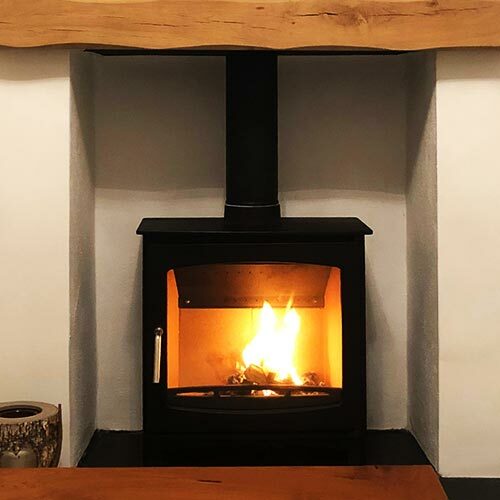 With efficient heating, a beautiful aesthetic and an increase to your property value, installing a Wood Burning Stove may just be the best gift you can give yourself. When installing a solid-fuel appliance it is vital that it complies with both building and HETAS regulations. As HETAS qualified installers there is no need to obtain council authorisation for your work as we are able to self-certify the work and ensure it is completed to the required standards. No chimney, no problem! If you don’t have a chimney for your stove, this isn’t a problem anymore. With modern and sleek-looking twin-wall systems, you may still be able to get the look and feel you’re after. From quotation to completion, here’s what to expect when you contact the Chimney Geeks. What you want from a wood burning stove may be very different to what your next door neighbour wants. Just like people, each installation is also unique; chimneys are different, hearths are different, homes are different. 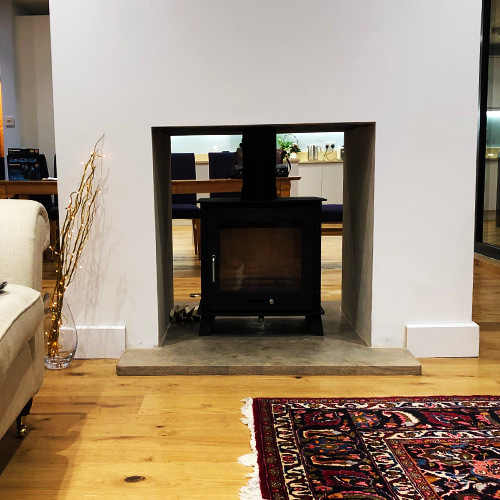 It’s important that the space is assessed by our HETAS qualified engineers to ensure all work can be completed inline with regulations and that you’ll be left with a safe and warm wood burning stove that you and your family will love for years to come. Once we have consulted with you to get your exact requirements and wants, we put together your bespoke quote based on your needs and your space. All quotes will be to complete the work fully to building and HETAS regulations, so the appliance is safe for you and your family to use. We strive to offer our customers our best possible price from the outset – we hate haggling as much as you, so we give you our best price from the start! Once you accept the quotation, the first thing to do is to book in your work. Generally your installation will happen over a number of days as we have to wait for things (like the hearth) to go off and set. 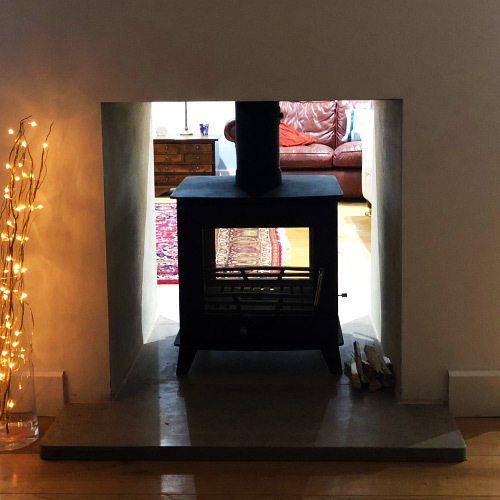 Our courteous installation team ensure that once the work is complete all areas are tidied and the surrounding areas of the wood burning stove are cleaned. Everything comes down to the finish, and ours is the best. Your satisfaction is our goal and all work is completed to the highest standards. Now that the work is complete and you’re over the moon with your installation, we’ll show you how to light your burner and operate it safely. Most burners will need to have 3 warm up burns – this gets rid of the oily smell from the lubricants used in the manufacturing process. Once you’re up and running we take care of all of the paperwork. Your new appliance will be registered with HETAS and you’ll receive our 10 year guarantee. 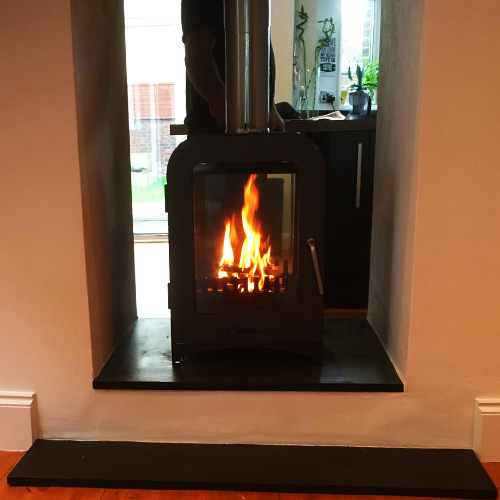 Graham and his team have been installing wood burning stoves for over 10 years! In that time, they've installed over 100 wood burning stoves and transformed family's living areas. 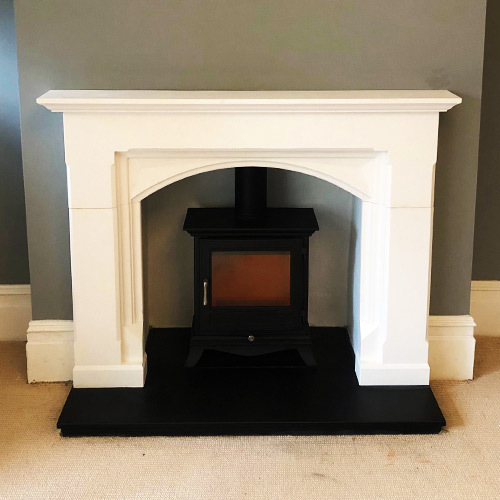 We ensure all of our customers are 100% happy with their installation and are completely comfortable using their stove so they can begin taking advantage of their new appliance as soon as possible!